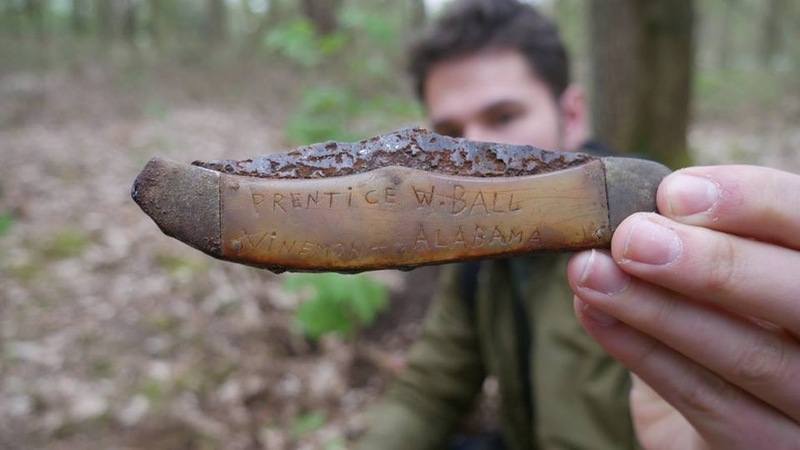 In forlorn and forgotten battlefields in Europe, Africa, and in the Pacific, personal belongings of World War II soldiers who fought for their country continued to be recovered with awe and excitement by both amateur and professional archaeologists. Weapons, uniforms, kits, and deeply personal items like Bibles and correspondence are also bought and sold online, at fairs, and in antique shops around the world. Occasionally someone finds a name or other identifying information on an object and begins to wonder who wore this jacket, who wrote this letter, who drank from this canteen. Meanwhile, generations of families who lost a loved one in the war yearn to know more about their cherished young man or woman, to make sense of his sacrifice. Even veterans who returned home seldom spoke of their experiences, died without passing on the legacy of their experience. Families are left bereft. Questioning what happened to him or her during the war? How did he or she live and die? Appreciating the pain, loss and questions are not limited to the families of veterans. Would anyone appreciate their pain and loss outside the family? Will memories fade and history be forgotten? In Europe, Dutch, Belgian and French citizens eternally grateful for the immense sacrifice Americans made to liberate them from the yoke of occupied tyranny continue to adopt graves from the American military cemeteries in their regions. They often want to know more about the man or woman buried that they agreed to honor. What footsteps did he or she take that led them to die to save them? LEGACY: LOST AND FOUND is a 501(c)(3) non-profit organization founded by researcher Myra Miller to discover the identities of the brave men and women who offered their youth and sometimes their lives to battle the forces of evil and preserve liberty around the planet 75 years ago. LEGACY researches and identifies who owned the item and their story, reunites their sacred relics with the veteran or family, educates the family, area school children and the public about the sacrifice. Legacy assists grave adopters around the world preserve the deeply personal legacies of American World War II heroes for generations to come. It also offers the veteran, families, and adopters the opportunity to walk in the footsteps of the veteran: where he or she fought, died, and where he or she’s buried. If the hero is buried abroad it is filmed it for the public and future generations so that each hero’s sacrifice will never be forgotten. Grave adopters must show proof/certificate of their adopted grave to be considered for LEGACY file work. Both costly and time-consuming the work of LEGACY requires assistance to carry out its mission. Once LEGACY has accepted the challenge of finding an item’s owner, staff spends between 20 and 100 hours researching units, locations, personnel, lost records, and locating family members. Next, the veteran or the family are notified of the recovery of the sacred relic, and we organize its personal return. We arrange a full patriotic honoring service in the family’s hometown, regardless of the location. During the emotional and moving ceremony, two LEGACY staff present a the veteran’s personal story to the family along with the item in the presence of school children and the media to ensure that the veteran’s sacrifice is acknowledged and becomes part of the community’s historical record. Additional third party funding can enable the family to follow in the footsteps of their hero, and have a short film made which can be shared with local schools, libraries, and descendants for hundreds of years to come. Previous recipients found the experience of receiving a recovered item meaningful, even life-changing at a surprisingly deep personal level. Seeing their loved one publicly honored, and community members young and old talk to them about their family member often opens a floodgate of overwhelming emotions: Grief. Gratitude. Pride. With your financial assistance, the LEGACY: LOST AND FOUND program can provide this life-changing experience for 10-12 American families and communities annually. We would appreciate the opportunity to speak to you more about our work and how you can help. Please contact me at myra@footstepsresearchers.com to discuss how together we can preserve the deeply personal legacies of American heroes for generations to come. Your charitable contribution is tax-deductible via the DONATE button below!